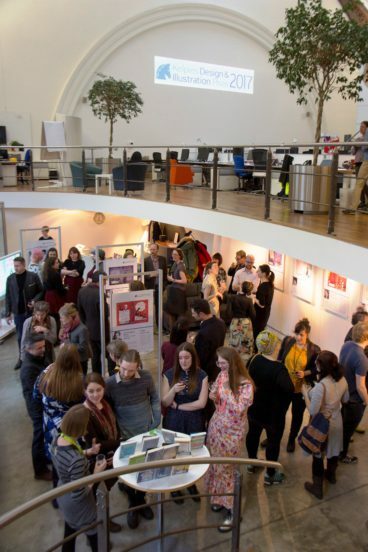 We present a visual celebration of the fourth annual Kelpies Design and Illustration Prize Award Ceremony which took place at Creative Exchange in Leith, Edinburgh, in March. 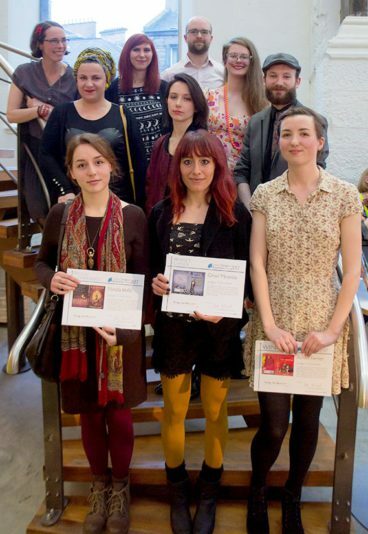 The fourth annual Kelpies Design and Illustration Prize Award Ceremony took place at Creative Exchange in Leith, Edinburgh, on Thursday 30th March. 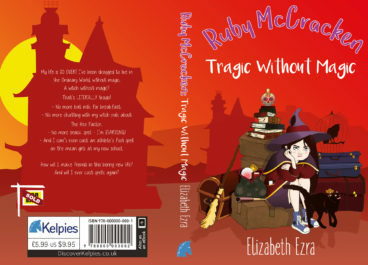 Designers were asked to create a book cover for debut author Elizabeth Ezra’s Kelpies Prize-winning novel Ruby McCracken: Tragic Without Magic. The winner will go on to work with the Floris design team to create the final cover for the book. 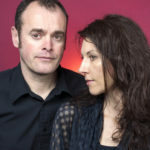 Congratulations to all the highly talented ten shortlisted designers. 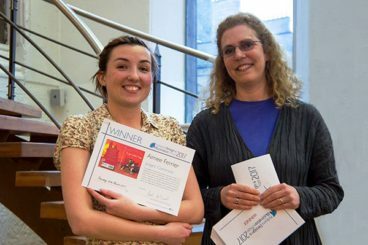 The Highly Commended prize went to Nataša Ilinčić, a designer based in Edinburgh, and the People’s Choice award went to Grisel Miranda for the second year running. 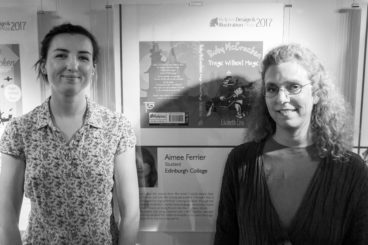 First prize went to Aimee Ferrier, a student at Edinburgh College. 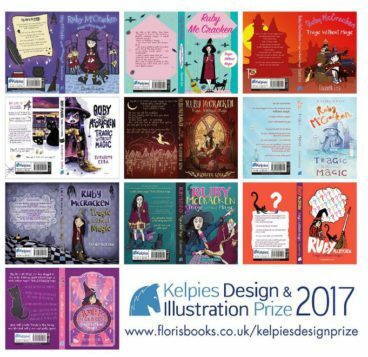 Interested in entering the 2018 Kelpies Design & Illustration Prize? 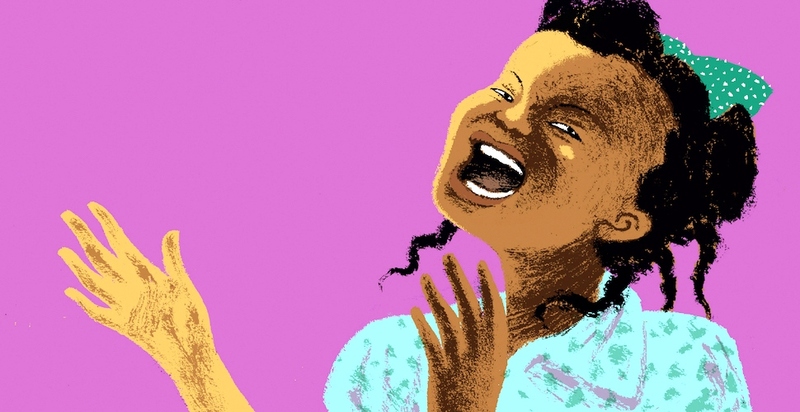 Check details in this piece by Floris Books. You can also find out more about the Kelpies Prize in this article on Books from Scotland by Chani McBain.